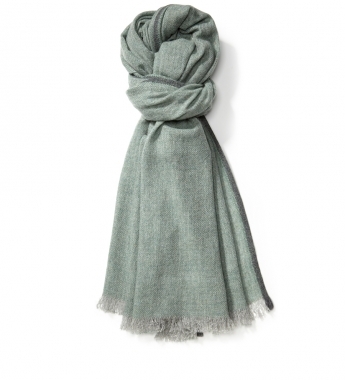 Give this gift of luxury this year with a super soft cashmere scarf by Brunello Cucinelli. This soft green colour looks great paired with most neutral shades of outerwear, and is a great way to bring some attention to your face. 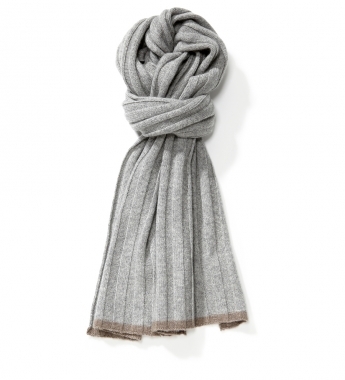 The ribbed grey version is the perfect accessory for a monochromatic look or with dark outerwear. This entry was posted in Accessories, Misc, Uncategorized and tagged Brunello Cucinelli. Bookmark the permalink.